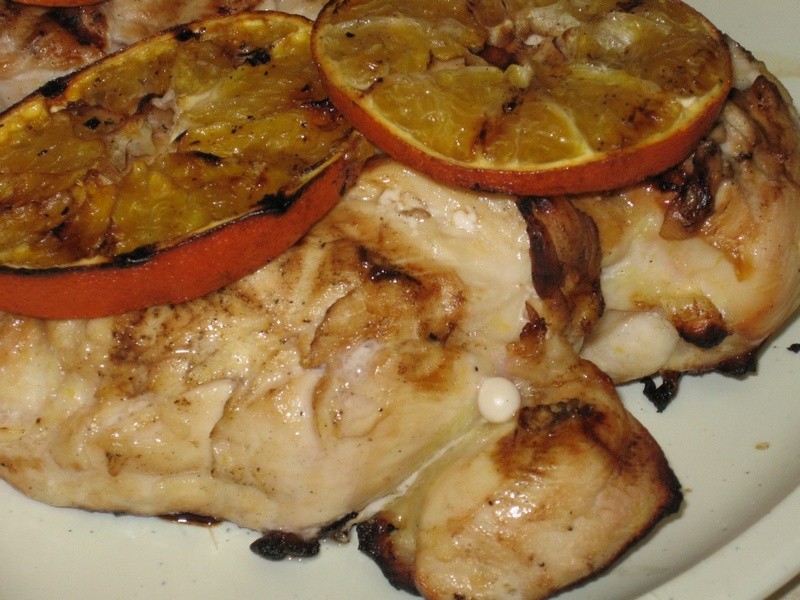 Lemon and lime have long been used to marinate white meats to enhance flavor. A slight change here as we have added fresh squeezed orange juice and a touch of sage to the marinade. Squeeze the juice from one of the oranges. Cut four slices from the middle of the second orange and set aside. Squeeze the juice from the remainder of the second orange. In a small bowl mix all the orange juice, lemon juice, sage and salt. Set aside. Rinse chicken breasts and pat dry with paper towels. Trim any fat or connective tissue. Place chicken in a plastic bag with zipper closure. Add the marinade ingredients. Carefully squeeze out the air and zip the bag closed. Gently knead to cover all the chicken with the marinade. Set the bag in a bowl and marinate in the refrigerator for four hours. Turn twice while marinating. Preheat grill. 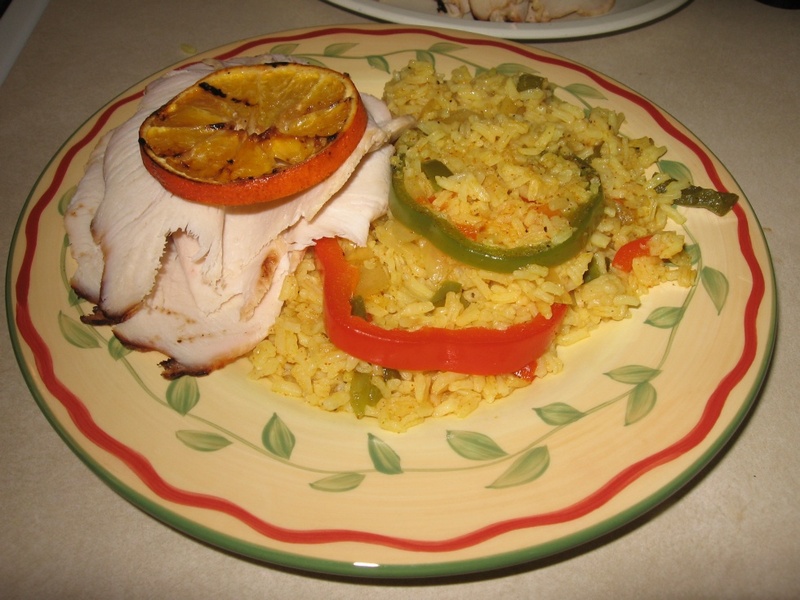 Grill chicken: 3 minutes first side, turn to second side and grill an additional 3 minutes. Rotate chicken 90 degrees to make crossed grill marks. Grill 3 minutes and then turn back to first side and grill an additional 3 minutes or until an internal temperature of 170°. 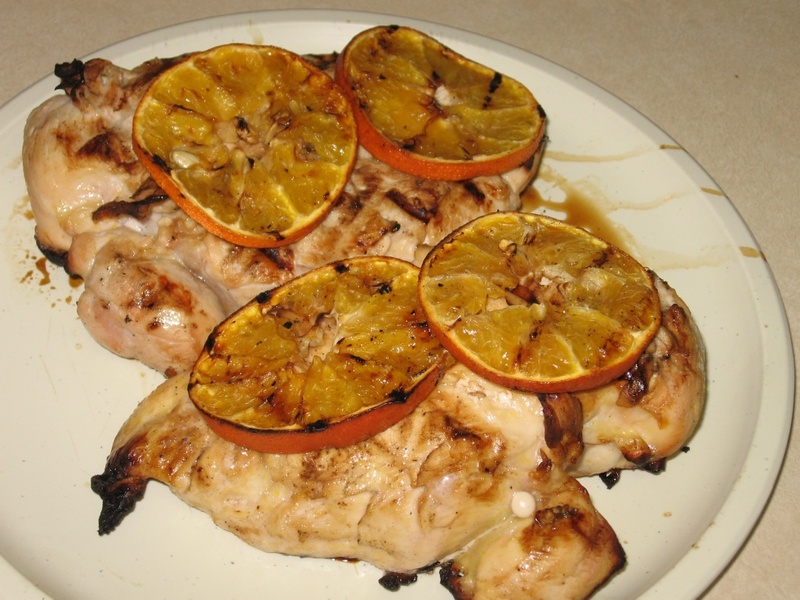 When grilling, use tongs to cover the up sides of the chicken with the reserved orange slices. When turning the chicken, place the slices on the grate. When cooked, remove chicken from grill and place on a plate. Cover with the orange slices. Lightly wrap with aluminum foil and allow to rest 5 minutes. Thin slice chicken. Serve using orange slice for garnish.